Do you want to call your friend as someone else? If yes, you are at the right place. This article is specially dedicated to the people who asked me how to spoof caller ID. Impress your friends by calling from unique numbers like 000-000-0000 or 123-456-7890. Hide your real phone number. Call someone from a number that you want them to call back. Note: Most of the services described in this article are banned in India and some other countries, so....if you experience any trouble while accessing the services, use a proxy website. Let's start caller ID spoofing! 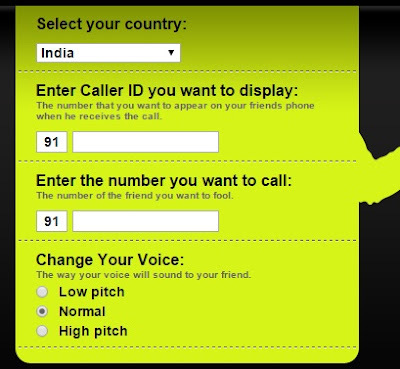 First, go to www.crazycall.net, and then select your country from the drop down menu. Then enter the number you want to appear on the victim's phone when he/she receives the call. Also fill the second box with the number of the person (victim) you want to fool. If you want to change your voice, you can change it to low pitch or high picth. Then click on the " GET ME A CODE" button. Make a call from your phone to one of those numbers and enter the code when asked. As soon as you enter the correct code, CrazyCall will connect your call to the victim with the CallerID and voice you have selected. SpoofCard is a very good service that allows users to call from any number. It also has some interesting features such as voice changer, sound mixer, call recorder and group spoof. You can try a live demo for free. If you want more minutes, you have to buy the credits. 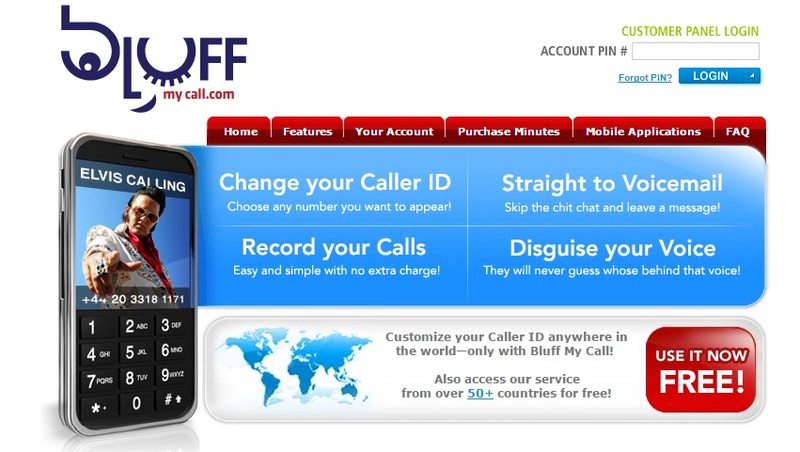 BluffMyCall spoofing service offers new features such as "Straight To Voice Mail" and "Call Notes" along with the features offered by SpoofCard. 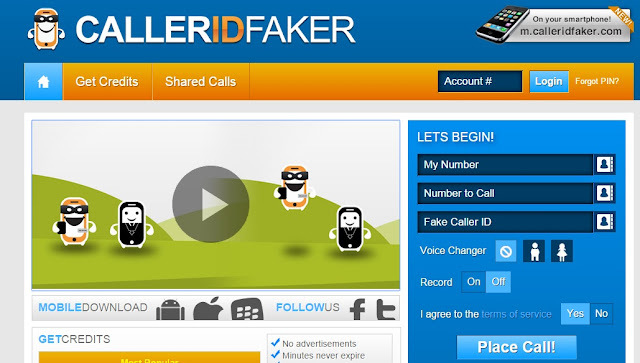 Caller ID Faker is just like a normal spoofing service. It doesn't have any new features. You can try the service for free, unlimited usage available for $29.95. SpoofTel is a nice service with SMS spoofing feature. You can try the service for FREE, but if you want more minutes, you have to buy the credits. 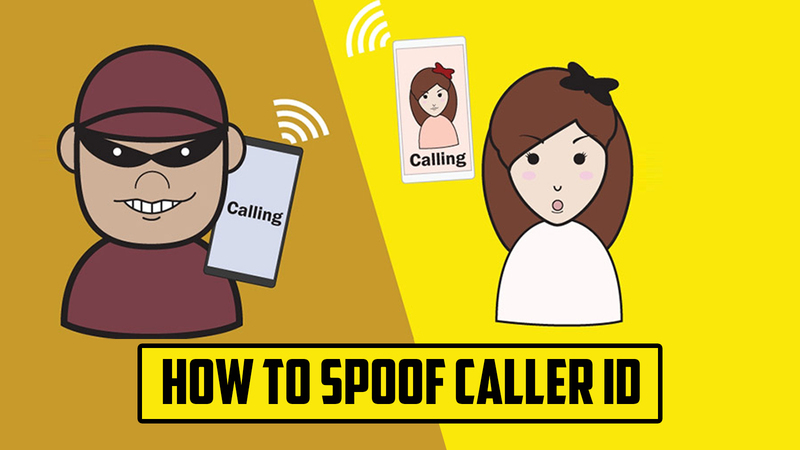 If you are using an android phone, you can use caller ID spoofing apps like Caller Id Changer, Spoof Card - Anonymous Calling and CallerIDFaker. If you are using an iOS device, you can use the SpoofCard iOS app to spoof your phone number.